It seems like the new species – homo pedalis – decided to test basic assumptions and chose the alternative when it comes to transportation. As many young professionals choose cities over suburbs, the rising cost of living has pushed newcomers to the fringes of the urban core. Mass transit is not always available or convenient. Driving can be costly, time-consuming. Urban biking, then, is not only the new black when it comes to how you commute, but for some a mere necessity. Even more so, gaining traction, climate change awareness movements finally promulgated their agenda making progress in what previously seemed like bringing a knife to a gunfight. In some of the cities we are about to list you will see automobiles taking the back seats (no pun intended), as biking is widely embraced by all classes of society. 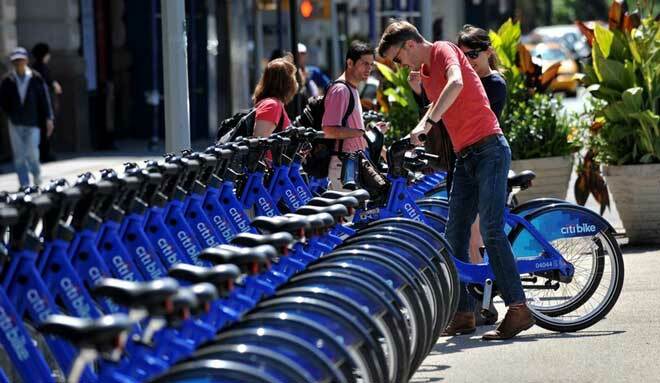 Making this initiative a reality, back in 2011 on Memorial Day, Citibank sponsored a project which gave Brooklyn and Manhattan somewhere around 330 parking spaces for bicycles, and more than a hundredth of them to rent. 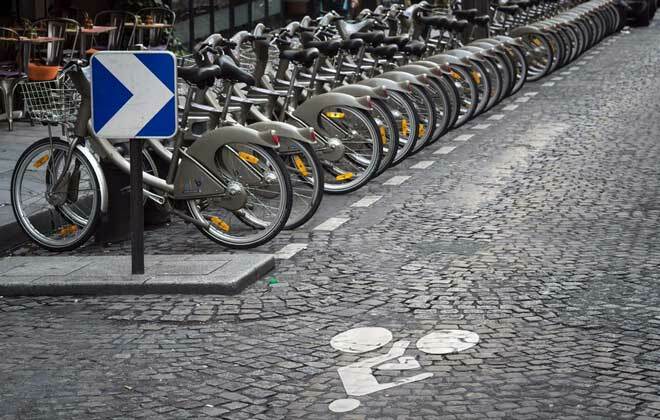 That the French have affection towards both underground culture and convenience proves the fact that back in 2007 the city made a deal with marketing agency JC Decaux which provided for 20000 bikes and 1800 renting spots. 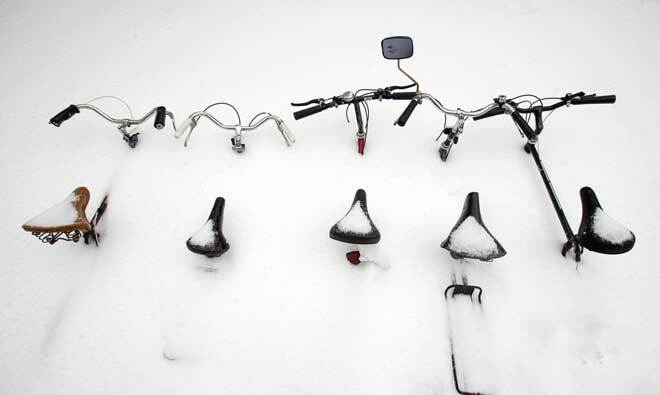 If the first thing crossing your mind was one of those You Tube videos where people find the tender relationship between snow and bicycle to be… well… not so tender; I totally relate. 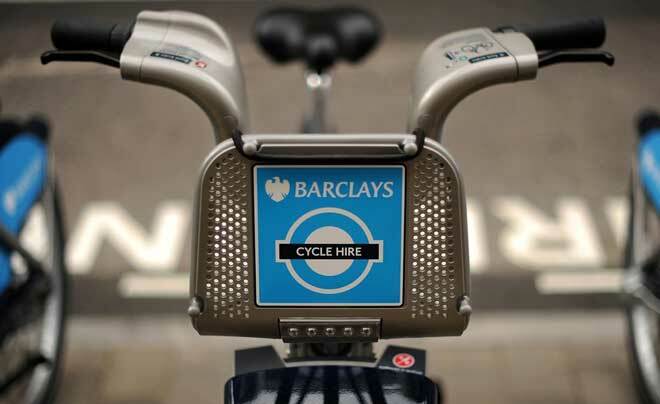 However, the city insisted on putting into use somewhere around 5000 bikes with over 400 stations. I guess this is the place where the majority of those related videos took place. Prince William is a biking enthusiast and London fully embraces biking as well. 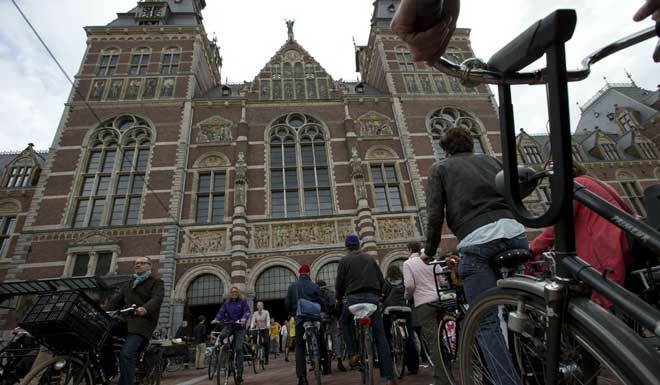 There you can find more than 6000 bikes and 400 stations, among which is also the Buckingham Palace. Amsterdam, right? The city of bikes and… OK, you are not making me go there. Anyway, this is the Disneyland for biking aficionados, and some people honestly believe that here there are more bikes than residents. One visit and you will probably attest to this statistic anomaly too. Oh, and if you are on foot, really, really, try to stay away from those bike lanes- this tradition of biking going way back made bikers more used to the sensory overload so they tend to move fast; Too fast if you ask me. Now what is about Palo Alto and early adopters, huh? 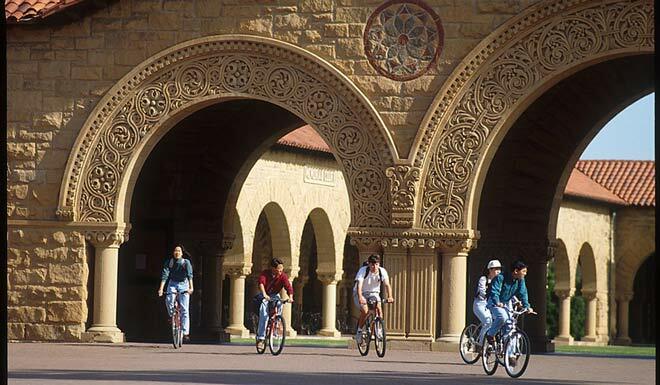 Here, around the Stanford campus, it was a common sight to see large number of people on bikes even back when Larry and Sergei came up with a great idea about a search engine. 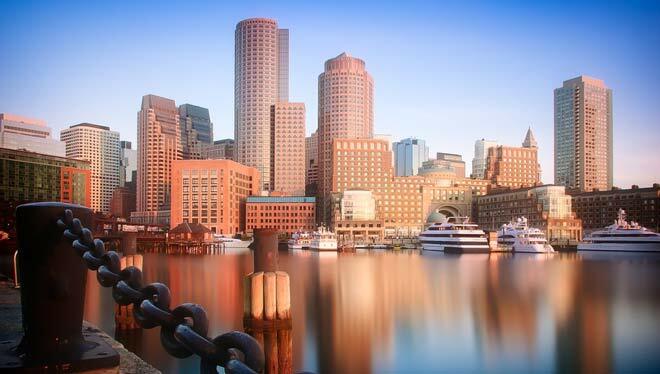 Boston is, arguably, among the first to embrace lifestyle changes on a global scale, thus thoroughly rethinking traffic patterns and trying to promulgate an idea of a healthier, environmentally more sound, and overall a hustle-free policy. On a surface level, it is all about convenience, the image you are presenting, or overall style if you so prefer. It is trendy, early adopters embraced it long ago now, causing the fixed gear custom bike to become sort of an accessory in your apartment. But at a second glance it has more going on than aesthetics alone. 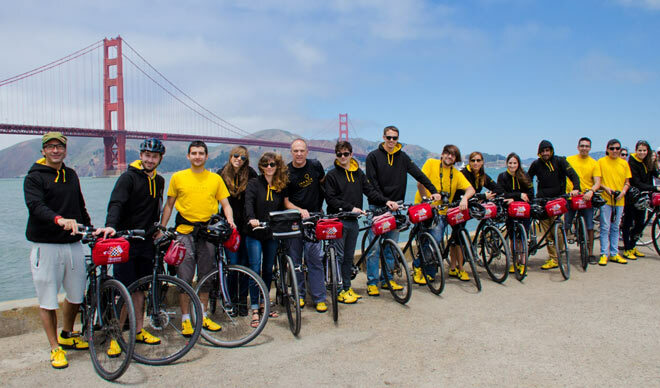 Here is why you should buy your urban bike or decide to rent one, following the revolution in lifestyle design that is going on for quite a while. 1. If you value pragmatism over anything else, then you are probably going to take this for granted. But bear with me for a second.Urban biking, being an activity which involves alertness, increased demand for cognitive focus and some rudimentary mechanic skills triggers what is known as a state of flow. Now if you are not familiar with this concept, here is a skinny on what it is all about. When this is combined with the demand for basic motor skills, it easily induces a state of flow. In vernacular, this means that urban biking can not only be held responsible for decreased levels of stress, but also a sense of feeling calm and relaxed. I for one never saw a man on a bike yelling his lungs out at someone for cutting him off. 2. If you take aside bad food choices from the race of being the number one reason for obesity in the world what you are left with is lack of physical activity. 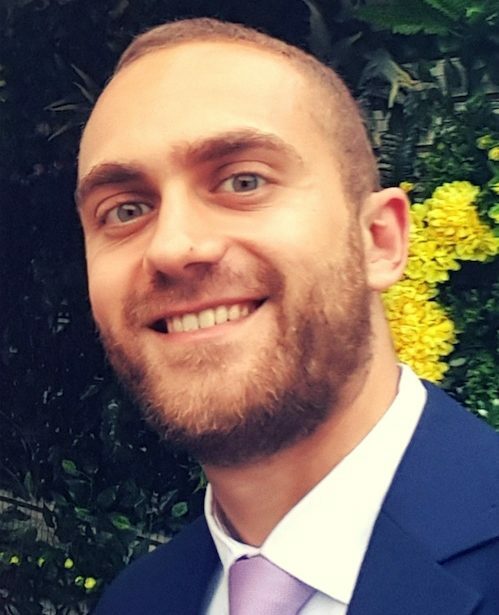 Now I know that the concept is far more complex and bears careful consideration, but the basic premise is that if calories spent surpass calories taken you will start to lose weight.It sounds like simple math, and in many cases making a lifestyle change makes it so. Now biking is arguably not going to solve any major problems when it comes to being overweight, but it won’t hurt for sure. It will definitely tip the scale in your favor, and if not anything else make you more fit and more energetic. The great thing is that albeit this is not really all that much noticeable on a day to day or week to week basis, it will pay off on the long run. Making it a lifestyle choice transforms the whole process into something quite easier and attainable. You don’t have to follow anything more than common sense to see that biking constitutes for a great cardio and leg workout. A fairly good substitute for a cardio workout like the P90 workout program or the 21 Day Fix or the Piyo workout for the ladies. 3. Fun has a different label for many, but I’m willing to bet that pedaling across bike lanes beats traffic jam any given day. Besides, you’ve never heard someone’s cool story beginning with: “you will never guess what happened on my way to work while waiting in the car”. Waiting in a line is as fun as hitting your head against the curb. And taking in consideration the next point, it’s about as profitable too. 4. Lifestyle design means pragmatism too. And what is more pragmatic than having health benefits on the expense of spending less dime? Any which way you try to spin this, it is still a good math. 5. Minimalism, simplicity, stress free way of doing things… These are some of the few cornerstones upon which every advocate of lifestyle design will recite his oats. And we at Lifestyle Updated totally relate.I’ve written about biking quite a lot (here, here) but using it as a means of transport and incorporating it into your lifestyle in such a way probably makes the most sense. 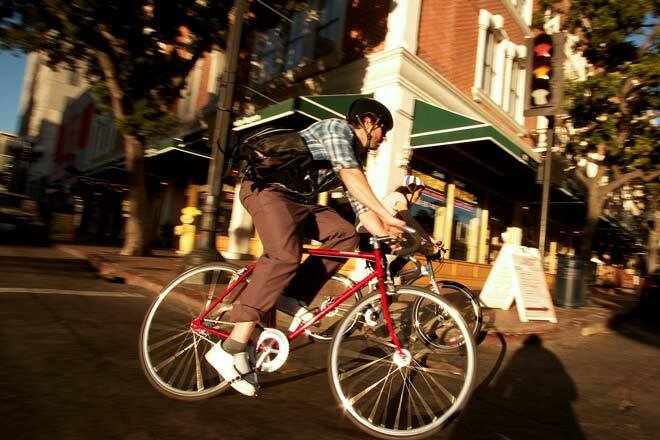 If you want a hectic free lifestyle, urban biking is as good a place to start as any. The perception that urban biking advocates are elitists has been exploited by both business and politics. But as time goes by, it shows to be a complete fallacy. More and more people are using bikes as to attest to their affection towards the casual, and retailers show this to be true. Prices on fixed gear bikes are usually quite affordable, and bicycle manufacturers are partly responsible for matching demand with supply – they realized that the need is limited within a certain set of features, giving their bike models just the right amount of equipment, going for that affordable price range. On the other hand though, there is this trend of customizing your own bike taking traction, and if you are into tweaking and assembling parts then this is the way to go. Retro bikes are increasingly trendy, and you can chose and rethink design to your heart’s content. If you are a total beginner when it comes to bikes and this is an uncharted territory, there is this great resource at Amazon that will give you the upper hand. Urban biking really is the new black when it comes to the way you commute. But I encourage you to look deeper and try to appreciate all the benefits this new lifestyle upgrade brings along. Style, health, weight loss, decreased stress, fun, economically sound investment, even elitism – there is something for everybody.